A PTFE BBQ Hotplate Liner will prevent fish sticking to the grill and then falling onto the coals. Just lightly brush the PTFE BBQ Hotplate Liner with oil before cooking and you can't go wrong. 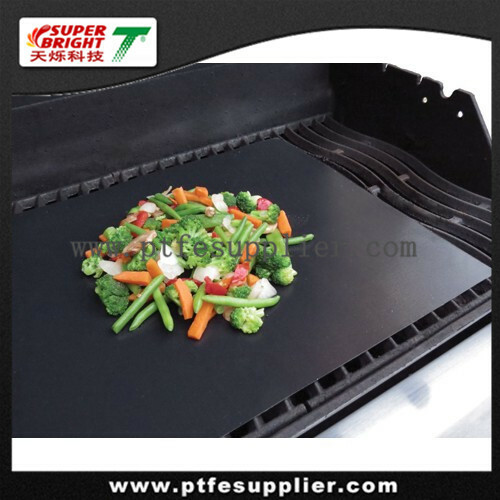 PTFE BBQ Hotplate Liner suitable for ( Barbecue) BBQ. Made of flexible, ovenproof materials. Nonstick coating on both sides prevent sticking,easy cleaning with soap and water or put them in the dishwasher. Prevents spills and debris accumulation in toaster oven. Can be cut to size for different kinds of ovens. Continuous operating temp from -60~260°C. Dishwasher-safe and safe for contact with food, chemical resistance etc. Place back in press ready to use again. You will not need to butter the outside of your sandwiches, they will still brown.